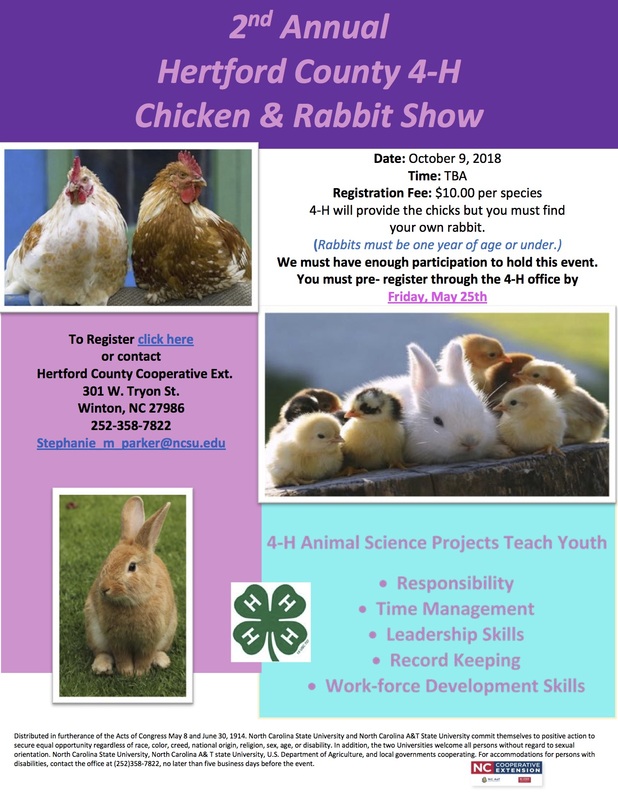 The deadline to register for the Hertford 4-H Chicken & Rabbit Show is May 25, 2018. Please contact our office with any questions. Click the following link for the show rules and entry form. All entry forms and fees must be received in the office by May 25, 2018.